Donald Knuth, master of algorithms, reflects on 50 years of “The Art of Computer Programming.” « Adafruit Industries – Makers, hackers, artists, designers and engineers! Donald Knuth at his home in Stanford, Calif. He is a notorious perfectionist and has offered to pay a reward to anyone who finds a mistake in any of his books. Via the NYT, For half a century, the Stanford computer scientist Donald Knuth, who bears a slight resemblance to Yoda — albeit standing 6-foot-4 and wearing glasses — has reigned as the spirit-guide of the algorithmic realm. He is the author of “The Art of Computer Programming,” a continuing four-volume opus that is his life’s work. The first volume debuted in 1968, and the collected volumes (sold as a boxed set for about $250) were included by American Scientist in 2013 on its list of books that shaped the last century of science — alongside a special edition of “The Autobiography of Charles Darwin,” Tom Wolfe’s “The Right Stuff,” Rachel Carson’s “Silent Spring” and monographs by Albert Einstein, John von Neumann and Richard Feynman. 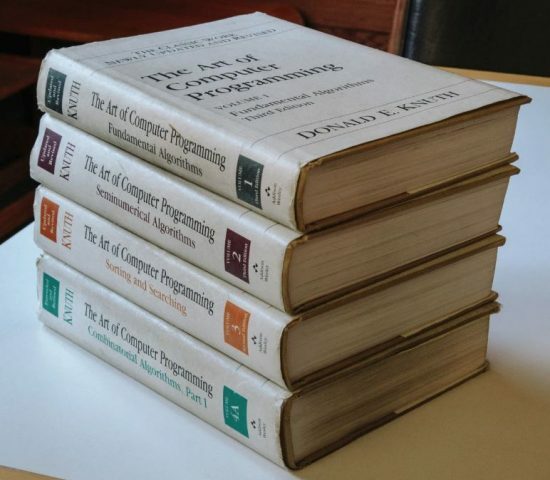 “The Art of Computer Programming,” volumes 1-4. 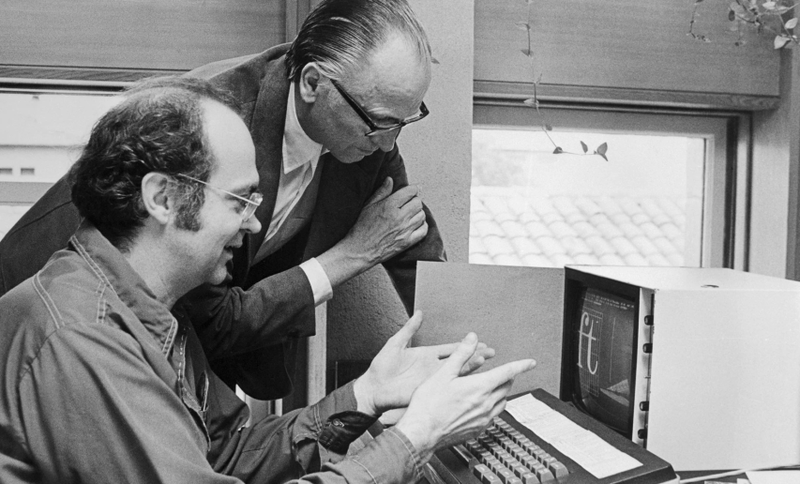 Dr. Knuth discussing typefaces with Hermann Zapf, the type designer. 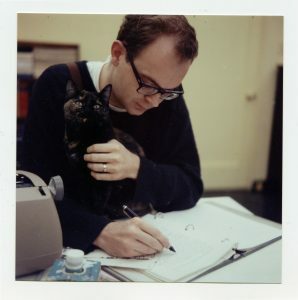 Many consider Dr. Knuth’s work on the TeX computer typesetting system to be the greatest contribution to typography since Gutenberg. Horrified by what his beloved book looked like on the page with the advent of digital publishing, Dr. Knuth had gone on a mission to create the TeX computer typesetting system, which remains the gold standard for all forms of scientific communication and publication. Some consider it Dr. Knuth’s greatest contribution to the world, and the greatest contribution to typography since Gutenberg. In order to optimize his chances of getting to the end, Dr. Knuth has long guarded his time. He retired at 55, restricted his public engagements and quit email (officially, at least).